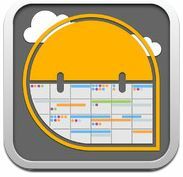 Awesome Calendar (iPhone/iPad) - Auto sync all your calendars! ~ Android Forever! 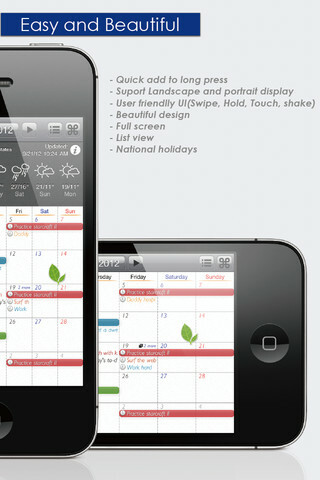 Awesome Calendar (iPhone/iPad) - Auto sync all your calendars! 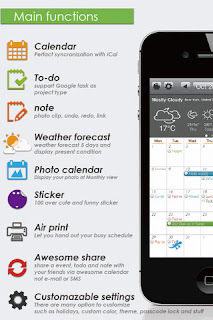 Developer Quote: "Now you can automatically sync with all iPhone calendars, write your todo list, create notes with photos, check the weather and more, all with Awesome Calendar!" An essential productivity app for busy people! * Quick popup on month view. * Holidays noted for 35 countries. Multiple holiday selection. * Elegant Photo album calendar. * Powerful diary lets you type notes and embed photos. * Full text search for event, note and todo. * Easy-push event alarm and customizable alarm. * Air print-Month overview, week, day and each event. * Insert photo to note like Awesome Note. * Sharing note via email. * Customizable calendar and event color. * Font size and Style change option in Monthly view. * Badge alarm on icon. Number of today’s events, todos. * Displaying past events on 1,2,3,4 and 5 years ago today at a glance. * Today's wise saying widget. Download Awesome Calendar from the iTunes App Store!